Leasing can be a great way to get more car for a lot less money. If you think you might be a good candidate to lease, there are a ton of deals to be had. However, not all deals are good deals. In fact, some are downright awful. Comparing leases can be tough when the payment, term and amount due upfront vary greatly. However, we can make more informed decisions by looking at what we refer to as the effective lease cost. Based on our analysis of over 470 leases, we've found three leases that rank as some of the absolute worst. We've also listed some cheaper alternatives, some of which might surprise you. Note: Offers assume a Southern California location unless noted otherwise. These are current deals but can be subject to change. Most offers expire March 31, 2017. 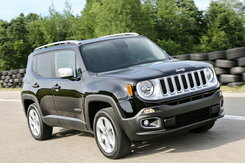 The Renegade promises a lot with its fun design and low base price of $21,915 with automatic transmission. While it's a sure bet you'll find thousands in discounts if you're looking to buy, leasing is a different story. This month, the 2017 Renegade Sport 4x2 is listed at $348 for 36 months with $2,999 due at signing. That includes an allowance of 10,000 miles per year of driving. However, with an effective monthly lease cost of $431, you could lease a Lexus ES 350 or Mazda CX-9 for just $4 more ($435 each). For less money, you could even lease a new VW Golf Alltrack or even a Mercedes-Benz GLA250. Here are some alternatives available at lower price points. 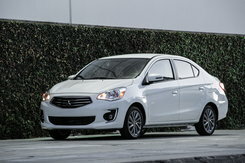 With an EPA rating of up to 42 mpg highway, the Mirage G4 offers some of the best efficiency out of any small car. Its low price of $16,030 with CVT transmission is an attractive selling point. This month, you can lease one from $179 for 36 months with $3,378 at signing. This includes 12,000 miles per year of driving. On the surface, that may seem like a good deal. However, with an effective cost of $273, you could actually lease the all-new Hyundai Ioniq Hybrid rated at up to 58 mpg for just $2 more ($275). For less cash, you could even lease the highly rated Honda Civic 1.5T EX Sedan or a Kia Optima Hybrid. Here are some notable alternatives that would cost less to lease. 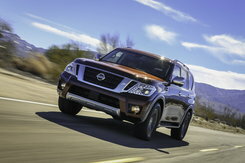 Last year, the Armada's redesign brought it more in line with its pricier sibling, the Infiniti QX80. With an MSRP starting at $45,995, it competes with roomy vehicles like the Chevy Tahoe and Ford Expedition. Although its sticker price is competitive, leasing is a different story. This month, the Armada SV 4x2 is listed at $599 for 36 months with $5,999 due at signing. There's an allowance of 12,000 miles per year. With an effective monthly cost of $766, this actually ranks as one of the worst leases. For less money, you could lease any of the following vehicles. Some of the price differences are staggering given their relative MSRPs. Each month, we look at every single lease we can get our hands on and uncover the best deals in each segment. Consider saving yourself time (and money) by letting us help you find better values on your next car lease. We can even tell you about hidden deals, like this month's $3,000 bonus for lessees of an Asian brand good toward select Chevy models. There are some unbelievable values as a result. 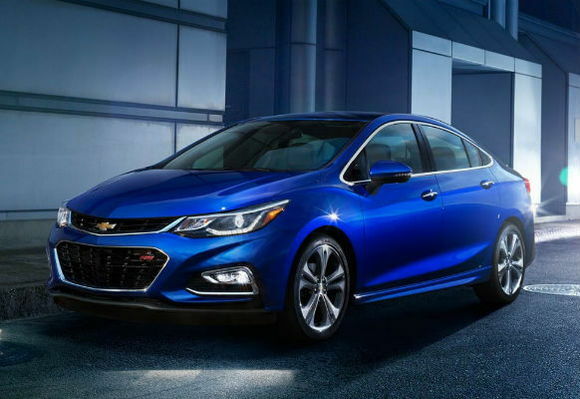 The best lease at the moment is the 2017 Chevy Cruze LT at $99 for 24 months with just $219 due at signing. With an effective cost of $108, it's the absolute cheapest lease on a new car.